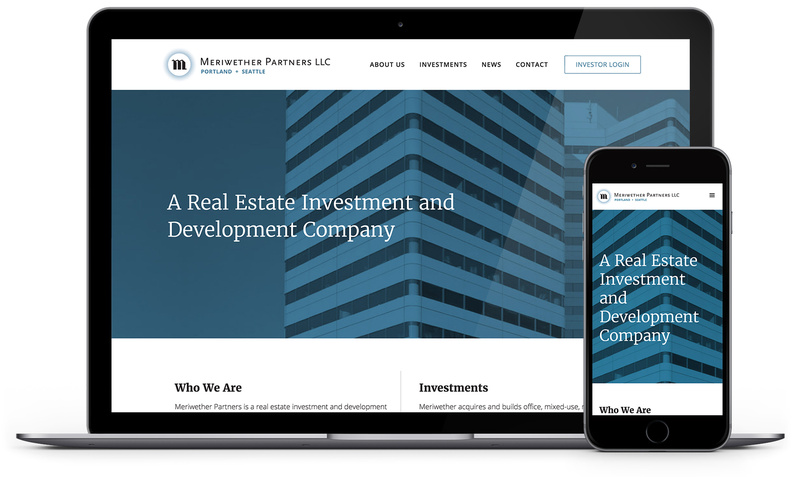 Meriwether Partners approached us to update their current website. Their site mainly serves as a resource for potential investors and clients. 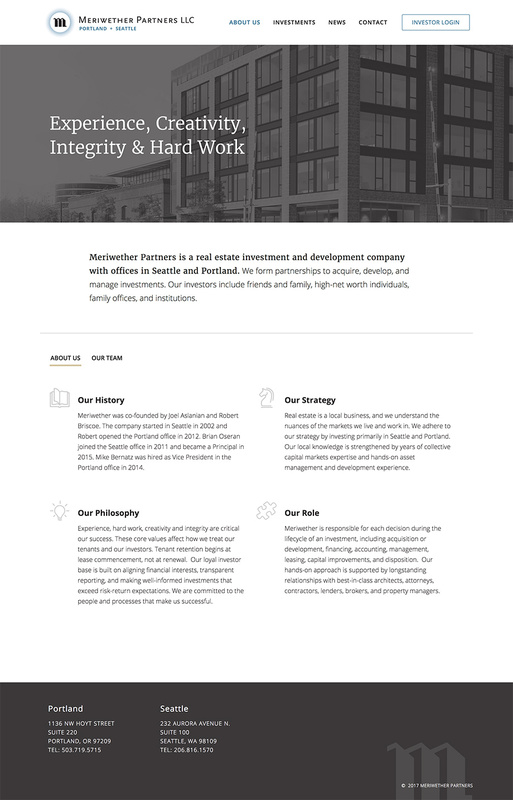 The site needed to communicate the credibility of Meriwether Partners and showcase their investments. They also needed to update the site themselves on a regular basis. We designed a responsive site with a modern aesthetic, including plenty of investment property photos. We also implemented a content management system so they could add additional content on their own.